Did you grow up in a reading and a writing home? Definitely. My mother read to me when I was very young. She asked her mother to send Robert Louis Stevenson’s “A Child’s Garden of Verses” when I wasn’t quite 3 years old. Being a military family, we moved frequently. Visiting the new town’s library was part of our settling-in process. I tended to cope with constant relocating by not putting down roots. Books were my friends. About the time I started junior high, my parents had introduced “poetry nights” into our after-dinner routine. We would pass a tome of verse around the table, each choosing a poem to read. With regard to writing, my mother was a prolific correspondent and liked to entertain her readers. 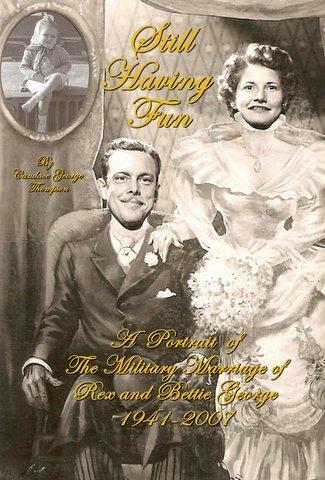 Most of the people who’ve read my book, “Still Having Fun, a Portrait of The Military Marriage of Rex and Bettie George, 1941 – 2007,” comment on how much they enjoyed Mother’s letters. Why did you choose this particular story to tell? The short answer is GRIEF. You know all too much about that, Doreen. After both of my parents died in May of 2007, I found solace in re-reading my mother’s letters to her mother when we were stationed in Okinawa in 1947 and ‘48. Before Mother got Alzheimer’s she had mentioned wanting to publish the letters. I decided I would take on my mother’s project and – long story short – the little project kept growing, expanding back to my parents’ courtship and my father’s Army Air Corps days. It crept forward in time as I delved into documents and records, navigator logs and travelogues, performance evaluations, weight charts, emails, tax returns and household expense ledgers. My parents, it turned out, led well-documented lives.In telling their love story and adventures, I hoped to entertain, educate and inspire my readers. So far, in the first three months since the book was released, I’ve been very gratified by the feedback I’ve received from readers of all ages, male and female. Oh, no, I don’t think so – I need a breather. I’m working to place essays and articles in newspapers and magazines, but without many results to date. I have contributed essays to three anthologies in the past two months. The one I’m most pleased about is a judged anthology published by the Puerto Vallarta Writers Group, titled “Coast Lines 2.” My essay, “Why I love Mexico,” covers many examples of the gracious and welcoming people I’ve encountered from my first visit in 1964, as a college student, to my most recent trip last year. Are you asking about my personal love story, Doreen, or that of my parents? I met the love of my life when I was working in affirmative action at a bank in Portland, Oregon. Neil was with a New York company that had written the affirmative action guidelines for the Federal Equal Employment Opportunity Commission, the EEOC. My employer expected to lose a class-action discrimination suit by female employees and wanted to start making changes. My future husband sold a contract to my manager and would usually take her to dinner when he came to town. On one of his visits she wasn’t available and suggested I go in her place. “Oh, goody, a free meal!” I thought. The rest is history. A year later I asked for a three-month personal leave of absence and headed to New Jersey where Neil was living. At the end of the three months, I called my manager to tell her I wasn’t returning. She wasn’t surprised. 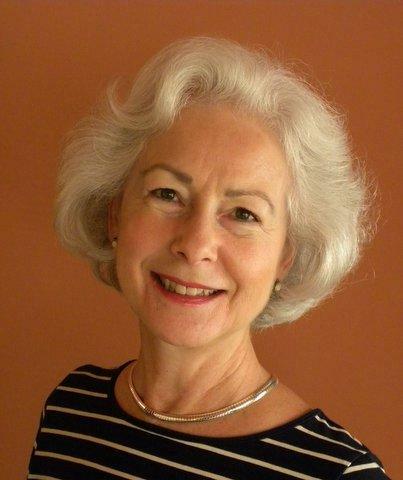 I was in Human Resources, Training and Development and internal Organization Effectiveness Consulting with banks in Oregon, New Jersey and Chicago before I launched an executive coaching practice. I loved coaching and being instrumental in the development of a manager’s leadership skills. I put my practice on hold to be with my parents during the last 4 months of their lives and never went back. My husband and I gradually stopped gift exchanges with family and friends over the past few years. Now we give an extra holiday donation to the charities we support. One of those that have been especially gratifying over the years is Children, Incorporated http://www.childrenincorporated.org. We’ve sponsored and corresponded with youngsters in Korea, Kenya, Guatemala and Chile and enjoy learning about their lifestyles and countries. Thank you again, Doreen, for this opportunity and best wishes for a fabulous 2013. Candace is a fellow member of MWSA and I have been following her postings about her book. Thanks for the great interview.